The disturbing SharkShopper extension is yet another program based on the infamous justplugit engine. We have mentioned this engine in plenty of our reports, because it is often used for the creation of highly suspicious and potentially unreliable advertisement-supported programs. Unfortunately, the official download site sharkshopper.info does not offer a working installer. This means that the disturbing application could be distributed using unreliable software bundles, which is why most users who have to remove SharkShopper may have to delete other undesirable software as well. The most recently reported clones of SharkShopper are DownSavie, ShopDiscounts, and SurfKeepIt. We have helped computer users delete these applications already, and this article is fully dedicated to the removal of SharkShopper. The truth is that if you do not delete this program, sooner or later you will be introduced to advertisements and offers which represent third-party products or services. Our malware researchers warn that these products and services may be bogus, and the presented ads may provide links to unreliable sites, which is why any kind of interaction with SharkShopper ads is not recommended. It may be difficult to recognize which online advertisements are presented with the help of the dubious SharkShopper, because this advertisement-supported program may be installed bundled with other adware. 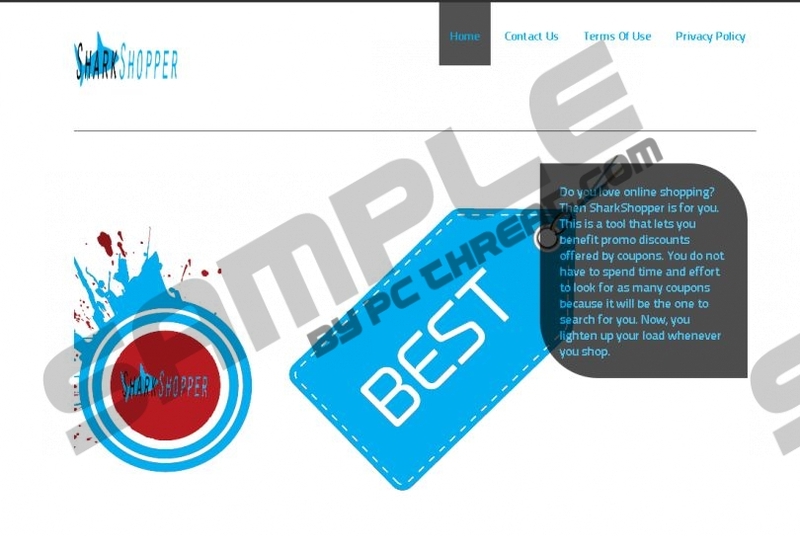 InstallRex, Amonetize, and Vittalia installers employed for the distribution of SharkShopper are known for bundling useless PUPs, aggravating adware, intrusive tracking cookies, and even malware. We do not recommend using these installers, and if you have already, delete the installed software ASAP. You can use a malware scanner to find out which applications running on your PC require removal. If you do not employ this tool, you may accidentally skip the removal of dangerous programs installed together with SharkShopper. Needless to say, you must delete all programs that could endanger your virtual security. Luckily, you do not need to waste your time trying to find and remove SharkShopper or the related unreliable applications. Instead, you can install automatic malware removal software. If you install reputable malware removal software, you will not need to worry about the suspicious ad-supported program, because it will be deleted automatically. Furthermore, your virtual security will be safeguarded against intrusive programs and malware. Most importantly, reliable malware removal software will delete SharkShopper related infections as well. Do you want to use this one-step method? If so, then click the download button below and, afterwards, install SpyHunter. Click Start on the Task Bar to open a menu. Click Change or Remove Programs. Quick & tested solution for SharkShopper removal.